Xennials are not a real thing. That is the mission statement of this blog. I was born in 1983, and I know how I identify. Millennials, or the Blockbuster Generation as I like to nickname us, are identified by the rapid change of technology that shaped their childhoods. The end cut-off year was chosen because Millennials also remember a pre-9/11 world. And that's when it hit me. 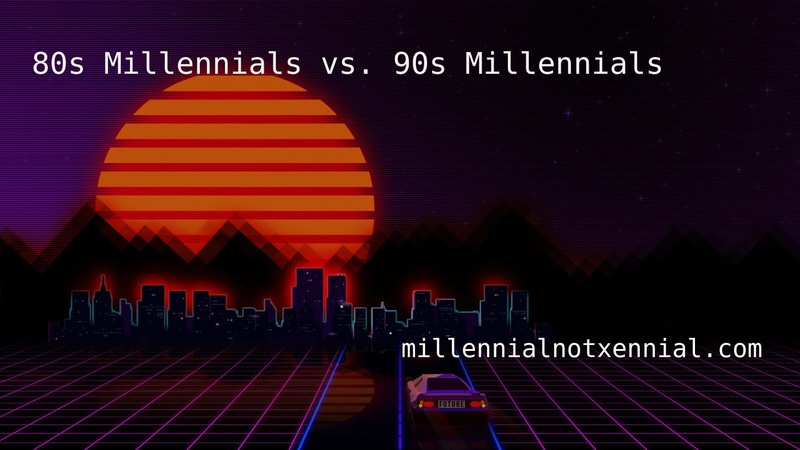 The real difference between the older Millennials that claim to be Xennials and the younger Millennials. 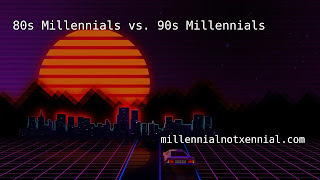 The cut-off date chosen for this "Xennial" group makes it so these Millennials can remember at least some part of the 80s. They can remember the Cold War. I'm an anxious person, and as a child I wasn't less anxious. I was six years old when the Berlin Wall came down, which means I very much remember the tensions of the Cold War. Families separated from each other, and a threat of nuclear war ever looming. This is not something younger Millennials ever felt. Until 9/11, they lived in a world of tension-less peace. I feel like that alone is the only reason older Millennials feel like they don't belong with the younger Millennials, and it makes sense. We don't belong with Generation X, though. We grew up with video game consoles and an ability to time shift our TV shows. That's ours. Which leads me to another theory. We are wrong about what years Millennials cover - but in the wrong direction. It should start in 1977. I know what I said about the Blockbuster Generation in my mission statement, but you can't deny someone born in 1977 would have also grown up with Blockbuster Video. They also grew up with video game consoles and an ability to time shift their TV shows - Atari 2400 and VHS machines both came out in 1977. But how I really came to the conclusion that those born between 1977 and 1997 are Millennials are my favorite Internetainers. I thought about the oldest YouTubers I could think of who definitely aren't Boomers or Silent Generation age. That left me with Rhett and Link, who were born in 1977 and 1978, respectively, and Buck Hollywood, who was born in 1975. So, why did I decide Rhett and Link might be Millennials but Michael Buckley wasn't? Because Michael Buckley started his show on public access. Rhett and Link didn't. I felt like that was a clear enough divide in the use of technology. I also thought about the fact that Millennial children, Generation Alpha, were defined by the release of the iPad and Instagram. So why couldn't Millennials be defined by the release of Atari and VHS players? It makes the most sense. I feel like it solves the whole Xennial problem. We know and embrace older Millennials and younger Millennials will always be separated by the Cold War, but the reason younger members of Gen X felt like they didn't belong with their generation is because they don't. They were Millennials then entire time. What do you think? Should Millennials be defined by the release of the Atari and VHS? Or is there really a microgeneration defined by the end of the Cold War? Let me know.